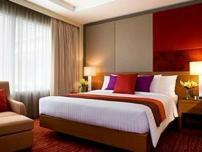 When you book your Bangkok travel reservations you will be sent an electronic ticket. 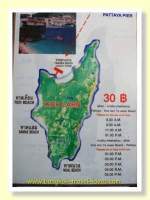 Ensure that you thoroughly check the itinerary and then print them out and take them with you. Often check-in staff will process you without seeing the e-ticket, but if you read the terms and conditions you are expected to be able to produce this document if asked. Mostly they will only ask for the e-ticket if there is a problem and if you can produce it then the problem can be quickly resolved. If you cannot produce the e-ticket then the problem may take longer to resolve and the resolution may not be in your favour. That is, you may not be allowed to fly. When you arrive at Bangkok, the immigration staff may ask to see evidence of your return journey if you are travelling as a tourist. 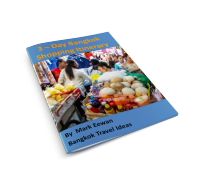 Just show them a copy of the e-ticket in your Bangkok travel reservations folder. If you don't produce the e-ticket there will be a delay and you may even be refused entry. Not a nice thought if you have been travelling for 11 hours or so. If you have ever visited New Delhi or the Philippines you will know that before you are allowed to freely enter the airport building, a soldier will check your ticket to ensure it is valid. No ticket, no entry, simple. A story for another time is when my e-ticket had the wrong date on it and what I had to do to get it corrected before the Indian soldier allowed me access to the airport. It was my own fault because I didn't check the dates on the ticket when it was issued to me. Another lesson learned. One very important task is to check all the details of your Bangkok travel reservations for any errors before you leave home. 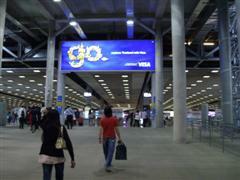 You should check all your e-tickets and any Bangkok travel vouchers. In 2014 I forgot my own rule and arranged a pick-up from Bangkok Airport at 5:00pm, thinking that my flight landed at 4:15pm. Well the flight landed at 3:15pm because of an adjustment to Daylight saving time and I had to wait around an hour. 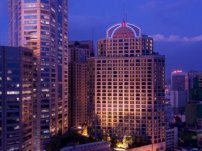 After seeking out the best Bangkok hotel deals on the internet and making your Bangkok hotel reservations you will be sent a travel voucher as a confirmation. This will show the date of arrival and departure, your room type, the room rate and who the booking is for, the address of the hotel and contact details in case of cancellation. Keep it in your Bangkok reservations folder. You will need to give the hotel name and address to the driver who collects you from the airport. Bangkok has a number of hotels with the similar names. For example there are four Novotel hotels and three Amari's so you need to be very clear about which one you wish to go to. Again, hotels do not always ask to see the travel reservation booking voucher when checking in, but two hotels I stayed in at Koh Samet and Hua Hin both asked for the voucher. Actually I can't take all the credit for being so organised because I was often in two minds as whether to take the voucher with me on these trips. Luckily for me I had previously read a web post about a traveler who tried to check in without his hotel voucher and they would not allow him in to his room. He had to go find an internet cafe, log in to his email account, print out the voucher and return to the hotel and only then would they check him in. He wasted an hour or so doing this and he was lucky it wasn't night time when things are closed. You always need your passport and credit card to check in to Thailand hotels so ensure you don't leave them in the bags you give to the concierge when you arrive. It is easy to do because as you arrive at the hotel the concierge staff take all the luggage out of the back of the car. The first couple of times I travelled I didn't realise and let the concierge take all my bags and then I couldn't find them to get my travel documents out. Now I am more organised and always carry travel documents in a backpack that I keep with me at all times. 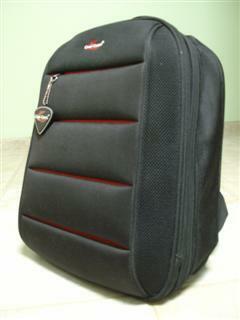 This is what my laptop backpack looks like and it holds my laptop computer and enough clothes for a three night stay. I paid 800 baht for it from a luggage shop near Nana (they are usually marked at 1600 baht but you can bargain on the price) and I consider it a vital accessory for short trips away. Its small size means I only pack the bare essentials. Of course I have no hair so I don't need to pack a hairdryer and curling tongs like some. 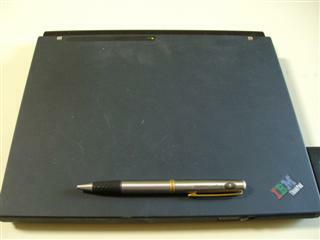 My IBM X40 laptop computer is as thin as a pen and just slips into the pocket of the backpack. It only weighs 1.5kg, half the weight of a Dell brick that my company gave me to work with. I don't know if they still make a computer as small as this IBM X40 but I know that when I look for a replacement this is just what I want. It is the best computer I have ever had and I hope it never breaks down. (Update June 2010 I am now having problems with this same computer that I use to make all my Bangkok travel reservations. The battery has packed up and so I had to remove it. 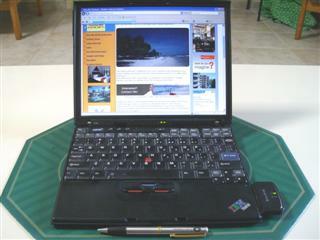 You can see from the picture just how thin the IBM X40 is and that it is a real space saver. Even though you are taking this as carry on luggage it is important to keep the weight down. Carry on luggage should not exceed 5kg, in practice a full back pack will weigh about 7Kg and when I was carrying the Dell brick sometimes my backpack weighed nearly 11Kgs. That is heavy I can tell you, in fact it was more than half the weight of my checked suitcase. When I am travelling I use this computer to make all my Bangkok hotel and Bangkok travel reservations.